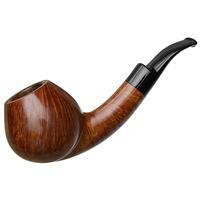 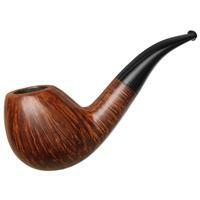 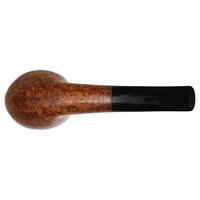 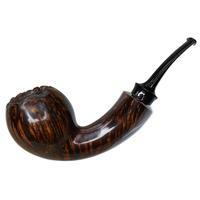 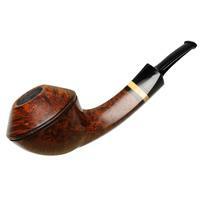 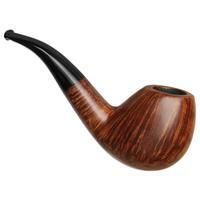 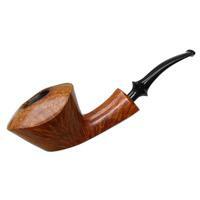 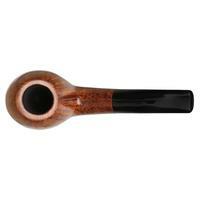 This bent Billiard is well on the classical end of the Tsuge Ikebana workshop's stylistic spectrum. 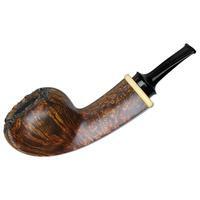 The piece exudes a bit of muscularity in profile, serving to emphasize the shape's forward-inclined gesture, and making for a remarkably substantial feel in hand. 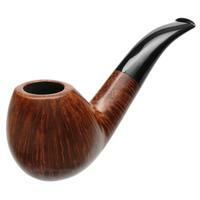 The form belies its cinched disposition, compressed along the central axis to make for a more sturdy sense of ergonomics, despite retaining a perfectly cylindrical, albeit slightly canted bowl within. 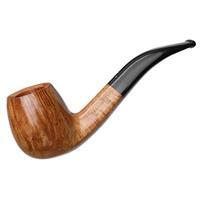 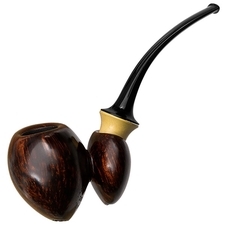 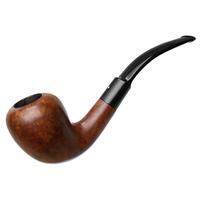 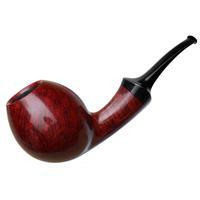 There's licks of fine, feathery flame on all flanks, accentuated by a warm, smooth stain, and it's still unsmoked and in excellent condition, despite having a few dings around the bowl.